Imagine you are a tourist walking from the Main Train Station in Bratislava down to the center of the town. 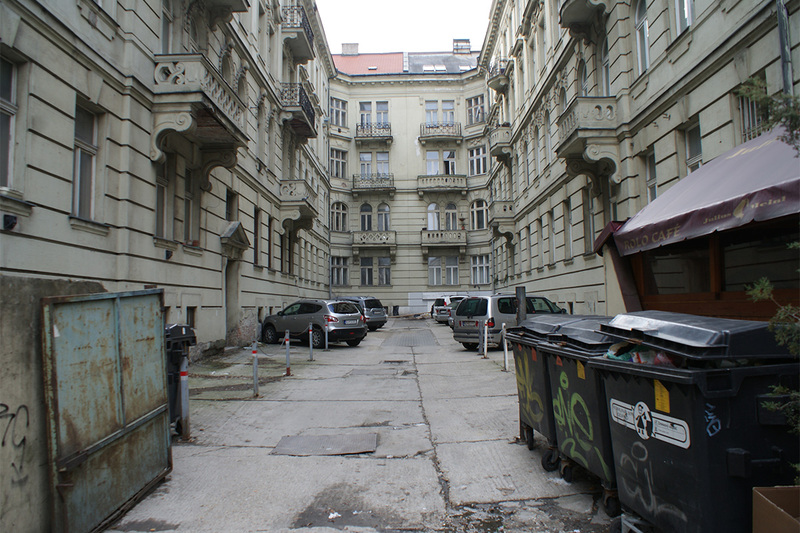 Inevitably, you pass by a courtyard which is located between the number 31 and 33 houses. There are a few cars parked there, impeding any other use of the space. There is a metal gate that is always open, bins standing in front of it, plastic public toilettes, no greenery, no use. We suggest removing the gate, the toilettes and the cars. 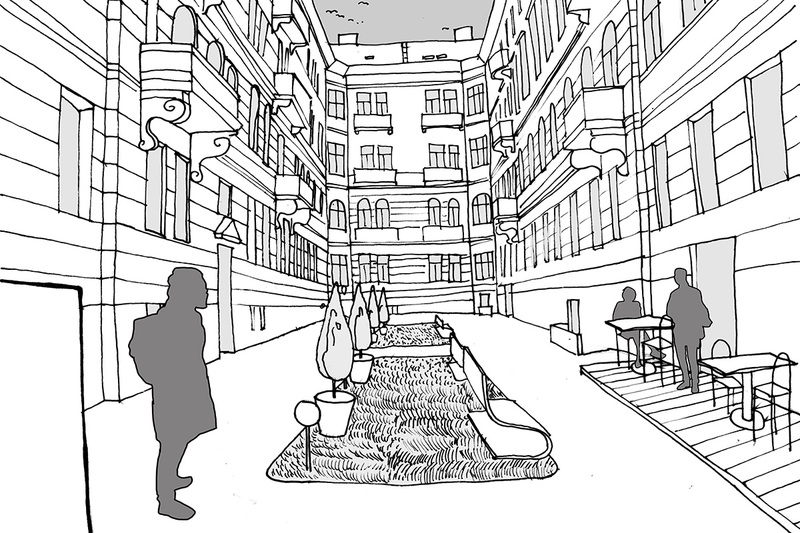 Then transform the empty courtyard into a street parterre. We believe that such “humanized” yard could become a pleasant recreational street area, and the long locked door would open to new functions.